Just wanted to make a quick announcement: we plan on moving the site to new servers over the next 24-48 hours. The reason for this is Google is no longer indexing ProjectJOSH.org due to an unknown and seemingly unresolvable DNS timeout error with our current DNS server. It will take usually at most 48 hours to see the site on the new host. However, for most visiting, there should be a bit of overlap between the servers, so in some instances you will not notice any incurred downtime where the site is inaccessible. Thanks you for your patience as we resolve this mess. Update #2: The migration of this site to a different provider has caused problems with creating accounts and using the contact form (both require sending email from the server to an email address). We will work to rectify these problems as soon as possible. In the mean time, we apologize for any inconvenience! Update #3: Everything should be fixed! As an organization we are striving to make a positive impact in the lives of many people, unfortunately we cannot go about this alone. Currently, we are looking for someone to fill a volunteer PR (Public Relations) position for the site and help maintain our Facebook and Twitter pages and further our networking with organizations of similar mind, and individuals of similar passion with giving back to the community. Given the close-knit nature of the organization at this point, we hope that this individual will be someone who has personally met our director and feels up to the challenge of emulating our voice and vision, providing us further expose and connection to the public, and acting with dignity and integrity. For the guests that come by the site only on occasion: please still consider registering. Sometimes when an organization is in more of its infancy stage provides the opportunity for individual growth/discovery, challenges/rewards, not to mention the perks of seniority rank among our growing community members! We cannot do this alone, we need to stand together to fight the good fight, everyday, giving back wherever and whenever we can. The word has spread in clusters. If this is just the work of our executive director in the nearby area and the help of friends, imagine if we recruited each of you to recommend the site to 5 people you know... For those who have, we sincerely appreciate it. 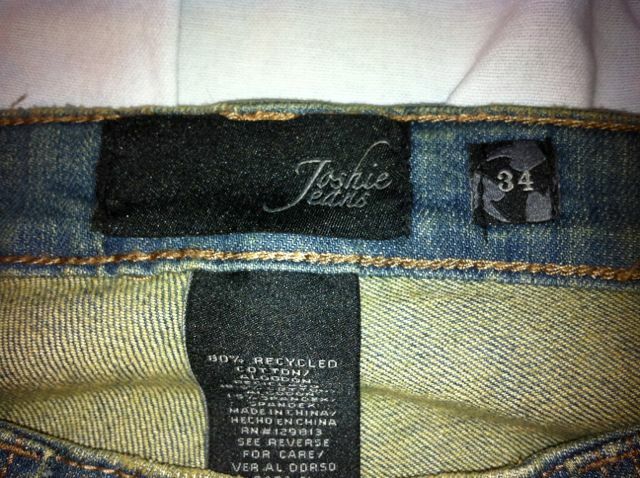 When our executive director entered Reuse Jeans for the first time, she was impressed with the styles and the earth-friendly aspect of the business - something Josh himself would have great respect for. It wasn't long until the down to earth nature, life experiences and passions of both our director and the owner of Reuse Jeans got them talking. Given George's generosity, it was no coincidence that an idea was forged to create a reproduction of Josh's own home-made-designer pair of Jeans. 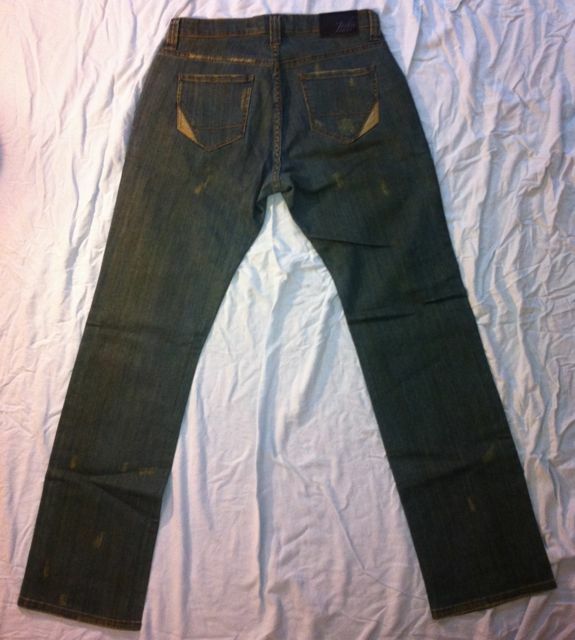 A few months had passed as we consulted with them on the design of the jean and provided our feedback. A few weeks ago we received the first pair off the assembly line and are very proud with the result. Yesterday we received word that the jeans have arrived! 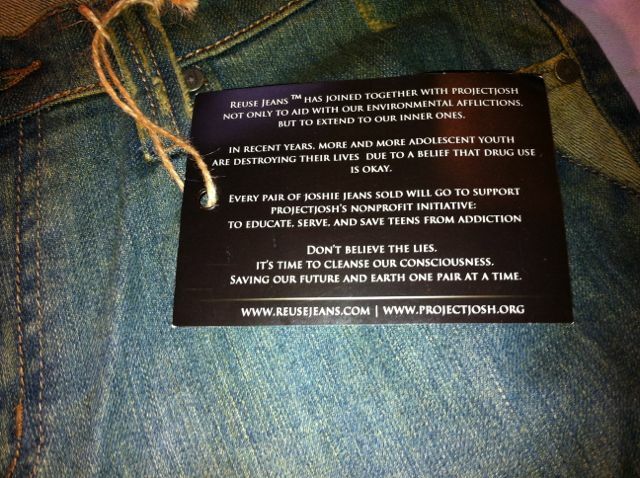 We are excited to announce that a reproduction of Josh's homemade designer jeans are now being sold at ReuseJeans in Laguna Beach, CA. with all proceeds benefitting Project JOSH's initiatives to educate and serve the community about addiction, as well as providing financial assistance and innovating in the area of addiction recovery. We are extremely grateful for the generosity of this partnership and definitely plan on stopping by for a few pairs ourselves! Click Here for a Map to Reuse Jeans, Laguna Beach CA. A lot of heart and soul has been put into these jeans and hope it acts as a clear reflection of Josh's personality latter appreciation for grunge punk/rock. 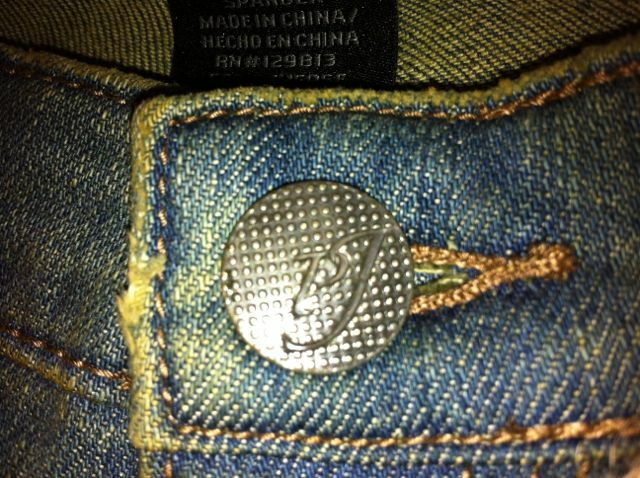 Update: We finally got around to snapping some pictures of the jeans. We're just too proud not to show them off! Saddleback Community College is holding a Mental Awareness Week that is comprised of a series of discussions and seminars that is open to the public. Our foundation director, Ms. Elaine Werner-Hudson will be speaking on the pertinent issue of black tar heroin as it has been negatively impacting communities throughout California, specifically southern Orange County. If you are interesting in attending this event, please refer to this attached flier. Free parking is available in parking section 5, at Saddleback College. The talk will be held on November 30th from 2-3pm in SSC 211. If you have any questions, feel free to contact Ms. Werner-Hudson at survivingmother@projectjosh.org. We would like to congratulate our executive director for her recent appointment to the Orange County Drug and Advisory Board. The Orange County Alcohol and Drug Advisory Board (ADAB) advises the Board of Supervisors and the County Alcohol and Drug Program Administrator regarding the planning, development, establishment, and maintenance of a comprehensive and coordinated program for the prevention, care, treatment, and rehabilitation of alcohol and drug users. Our organizational director also received a certificate of appointment, and was recently sworn in as a member. This is acknowledgment of her continued commitment to providing necessary change to help combat the apparent problems with youth drug use in our world today. Thus sharing a chief tenant of Project JOSH's mission, to educate and serve the community. Josh throughout his life looked at Steve Jobs as a true inspiration. He read many Apple history books and worked on the computers before their emergence into the mainstream in 1999/2000, opening his own Apple Computer repair business at the age of 14. Many people in Boulder Colorado who met Josh understood how synonymous Josh was with Apple. Apple was a good part of Josh's life and his life-long career, something he shared a great deal of passion for. As an organization we are deeply saddened by the loss of this great visionary mind not only because this news would sadden Josh, but also because Josh shared many of the same intellectual philosophies as Steve Jobs did. Project JOSH will be attending and maintaining a booth at the 2011 OC Youth Summit. We look forward to meeting and talking with you about these important issues facing children today. All parents looking for information, ideas and inspiration. â€¢ Breakfast and Resource Fair: the morning will begin with an informal breakfast and time for parents to talk to family service and resource agencies. â€¢ Keynote speaker: Michael M. Ruane, executive director of the Children and Families Commission of Orange County, will share about helping your children grow up healthy and ready to succeed. â€¢ Age-specific Breakouts: Expert panelists will share their ideas and experience on the following topics. When: September 30, 2011, 9:00 a.m. to 11:30 a.m. When we met with George Powell III (the owner and CEO of Reuse Jeans) yesterday, we were overwhelmed and taken-back by his generous proposal to develop, produce, and sell a pair of Josh's home-made jeans; with all of the proceeds being donated to Project Josh. In addition to this amazing sponsorship, he wants to help promote the foundation through media press-releases and any other way he can. As a foundation we cannot begin to thank George enough for all of his sincerity, love, and understanding for what we do. 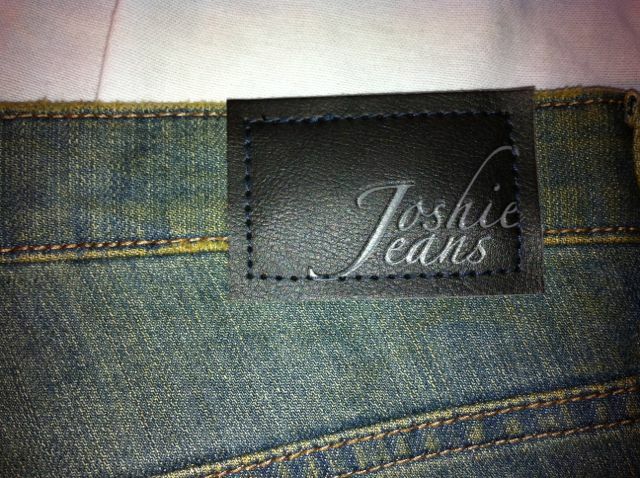 The pair of jeans are intended to be both inspired by and in many ways be a replication of the jeans Josh himself stylized in 2007, due to lack of money to purchase designer name brands. Instead, Josh's resourcefulness proved invaluable, as he cooked a pair of name-brand jeans in bleach and coffee grounds, in addition to leaving them outside to weather in the sun soaking for close to a week and finally manually distressing them using a razor blade and using his car to peel out on them; a process by which George himself explained is a lot like how he creates that style of jeans, but the process they use is more sophisticated and efficient. We will provide more details on these jeans when they become available. However, remember the owner of Reuse Jeans (which just opened this last May) has a lifetime (over 40 years) of experience in the denim industry. This roughly equates to some really rockin' jeans that look awesome and fit amazing. 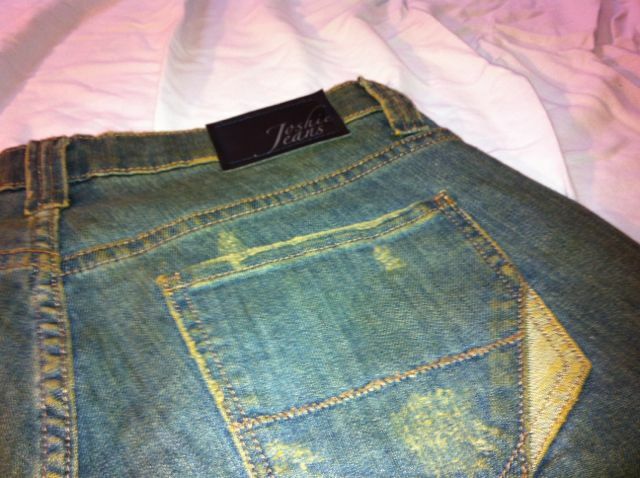 Not to mention that 80% of the cotton fibers used for the jeans are recycled. As Josh would say: "Right on!" He shared in many ways similar care and consideration for the environment including rescuing severally neglected plants from their planters in a local indoor mall, during the decline and eventual close down of Crossroads Mall (now 29th St. in Boulder, CO). For these reasons and more, don't hesitate to stop into a reuse jeans store. You'll be supporting a company with plenty of good karma, who cares for both the environment and life itself! We send our love out to you brother. Thanks for helping us making a real difference in this world. Over the coming weeks and months, you will notice several tweaks across the entire site. These changes are merely preparatory measures for site cleanup and allow for further user involvement. During this period, we would appreciate any feedback and suggestions you may have. If a feature is highly requested, there is a significant likelihood it will be added. Since the charity and its resources are here to serve its members, we are continually wishing to improve upon it - given your feedback (including bug testing!). Thanks for your continued support and understanding, we look forward to hearing your thoughts. The site received some back-end security upgrades and only occurred about an hour of downtime on August 14th, 2011. We appreciate if you would report any bugs to us immediately. As you have probably already noticed, the website has undergone a structural design change to better suit future features of the site. However, because of this, we still need to test the cross-browser compatibility of this new format. We sincerely appreciate your patience allow us to get the site together, it has taken us a good 6 months to get fully online. Please email any problems to survivingmother@projectjosh.org and we`ll fix them as soon as possible. Yesterday, Project Josh aired one of its first podcasts entitled "Imagine" on http://www.adrenalineradio.com. Episode 1 deals with the experiences and story of our founding director regarding her son and the natural progression of addiction as a disease. Please check it out and feel free to leave us some feedback. We'd love to hear what you think! Sometime in the next few weeks we'll be running a maintenance on the back end of the the site. While we cannot provide a time frame, we suspect the site will be down at most for a couple hours. We'll update you with more information as it becomes available. Edit: We just finished the maintenance on the back end today (January 30th, 2010). The site didn't incur any significant downtime. If you have any problems with the site, please report them to us right away. Thanks! We have been contacted by several individuals who are wishing to donate, but are having problems with PayPal. We've thoroughly looked into the issue and all we can recommend is double-checking your creditcard number and personal details (if paying by creditcard). The same should apply to when you're logged in as a PayPal user, just ensure your personal/funding information is up-to-date. It is also important to understand that you can pay using a creditcard without having a PayPal account, but if you already have an account - you can use it. If you continue to have problems, you can always send a donation check in tribute to Kelin Jacobsen and family to: 554 Agate St. Laguna Beach, CA. 92651. Additionally, we have also been contacted by several businesses wishing to donate to the charity. We appreciate your patience with us posting our EIN#: 27-4506635 for tax purposes. Note: for those that have been wanting to donate, but have had issues; don't worry, there is no date cutoff for donating. We would like to take an opportunity to thank everyone that has donated in tribute to Kelin Jacobsen, and the Jacobsen family. Your love and support is very evident in the generous donations. We will update you about the happenings within the organization and will have more sections of the site online in the weeks to come. I am deeply saddened by the loss of an amazing young man Kelin Jacobsen, whom I met as a client at a recovery center where I am employed. I remember vividly when he came as I was on shift upon his arrival. He was very ill the first days as he was detoxing from opiates, and remember his cute dimpled smile as I placed a warm blanket on his aching, nauseous, body. There was a connection between us from the beginning as he was an unusually unique individual. This was clear as he was beyond his years, and we often would talk philosophically about life, addiction, and touched upon death. He was a gentle warm spirit full of life, always caring about others feelings, was able to turn negatives into positives, but mostly had a depth in his soul, with an abundance of sensitivity. What is apparent to me is that Kel reminded me of my son Josh and therefore I related to him with an unspoken understanding. I remember the night before his graduation, when he thanked me for being there for him and what a difference I had made in his life. I expressed that he had given me so much more than he could ever imagine with the honor of meeting him and spending time with him. I asked Kel if he would help with Joshâ€™s website by sharing his personal journey with addiction and he was excited and willing and expressed that he wanted to be a part of it. We agreed that we never wanted to lose the connection of the special bond that had been established and therefore kept in communication by phone and text messaging. I received a text message on Christmas Day from him wishing me a Merry Christmas and that he missed me. Tragically Kel passed away on December 30, 2010. I will remember his handsome face, sweet heart, and gentle spirit. His life is not in vain as he is now part of the website that sadly offered to share the gift of what a wonderful, unique person he was. He lives on with me and I will continue fighting against drugs with even more vengeance. We are stronger with Kel and his family, determined to help not only those who struggle with addiction but parents as well to find ways to prevent and acknowledge drug use before it is too late. This website carries the legacy of both Josh and Kel who will never be forgotten. Kel, my heart is saddened and I shall never forget you, as I know your presence surrounds those you love. I love you my sweet boy! Project J.O.S.H. welcomes family and friends affected by Kelâ€™s death to become involved in the organization. Welcome to the grand-opening of ProjectJosh.org. Here we hope you find a great wealth of information useful for both families and inflicted individuals alike. We encourage your participation on this site, but ultimately it's a resource for you to use. Site is currently still under construction. We appreciate your comments, criticisms, and kudos for the work we've done here because our aim is to make this resource the best. Additionally, if you believe in what we do and want to support our work, please consider donating. Thanks! P.S. We're aware of the issues with viewing the site under Internet Explorer. Please for the time being use Mozilla Firefox, and we'll try to get it working again as soon as possible, thanks! Update: all issues with the menu and a couple other issues appear to be panned out at this point. If you still find problems with using IE, please contact me using the contact form or via private message. Thanks for your understanding with this matter.